the North American International Auto Show going in Detroit was a beehive of activity and news. Bill Visnic Edmund's senior analyst had is boots on the ground and he'll be out guest. But first The Green Hornet film just premiered on theaters across the country. Ask any movie critic and they will talk about stars Seth Rogen Jay Chou and Cameron Diaz.. But since Cruise Control is a car show.. We wanted to hear more about the REAL star.. That's of course the weapon equipped Chrysler Imperial Crown known as Black beauty. 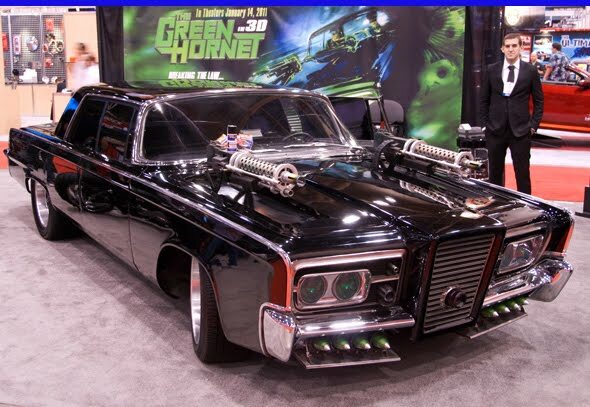 We'll hear from Dennis McCarthy Picture Car Captain for The Green Hornet about how he built 29 of these beauties..